Best known to the world as the actor who created the legendary Mr. Spock in the cult television series that launched the Star Trek phenomenon, Leonard Nimoy has written the definitive Star Trek memoir. 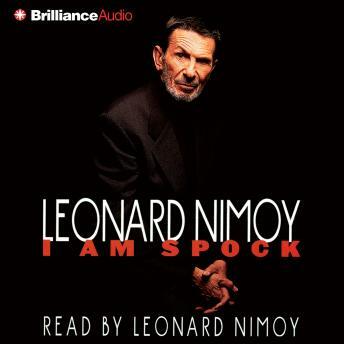 In this long-awaited autobiography, Nimoy opens up to his fans in ways the Vulcan never could. Having played the pivotal role of Mr. Spock in the original series, in six motion pictures, and in a special two-part episode of Star Trek: The Next Generation, as well as having directed two of the movies, Nimoy is well suited to tell the true story behind what was seen by the public. He provides an intelligent and insightful book about the creative process and the actor's craft - and gives his own unique insider's view of the creation of both the character, Mr. Spock, and the Star Trek phenomenon.